French Symbolist painter known for hiserotic paintings of mythological and religious subjects. The only influence that really affected Moreau's development was that of his master, Th�odore Chass�riau (1819�56), an eclectic painter whose depictions of enigmatic sea goddessesdeeply impressed his student. 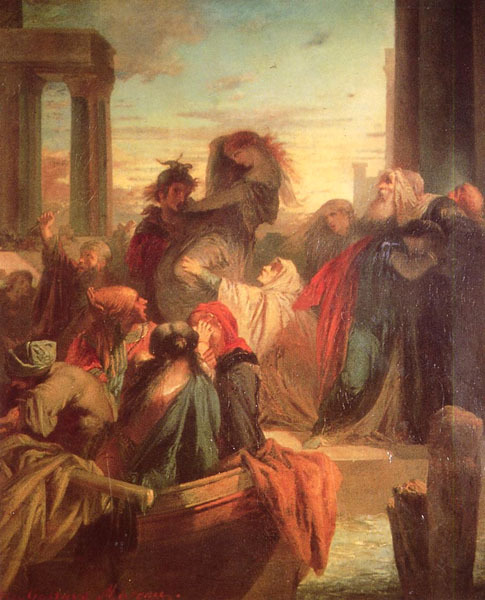 In the Salon of 1853 he exhibited �Scene from the Song of Songs� and the �Death of Darius,� both conspicuously under the influence of Chass�riau. Moreau's �Oedipus and the Sphinx� (1864; Metropolitan Museum of Art, New York City) and his �The Apparition (Dance of Salome)� (c. 1876; Fogg Art Museum, Cambridge, Mass.) and �Dance of Salome� (c. 1876; Mus�e Gustave Moreau, Paris) show his work becoming increasingly concerned with exotic eroticism and violence, and his richly crowded canvases made greater use of dramatic lighting to heighten his brilliant, jewel-like colours. 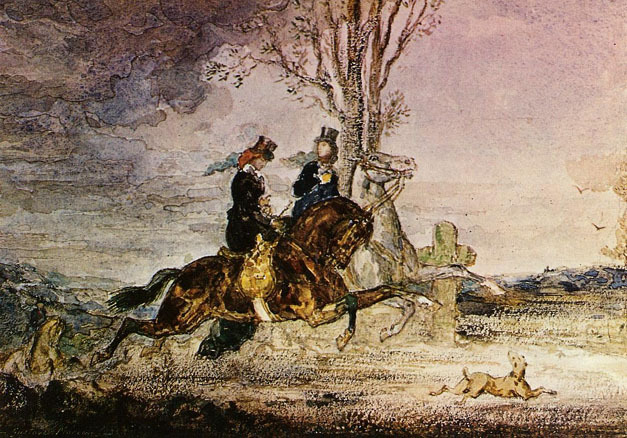 His last work, �Jupiter and S�m�l� (1896; Mus�e Gustave Moreau), is the culmination of such tendencies. 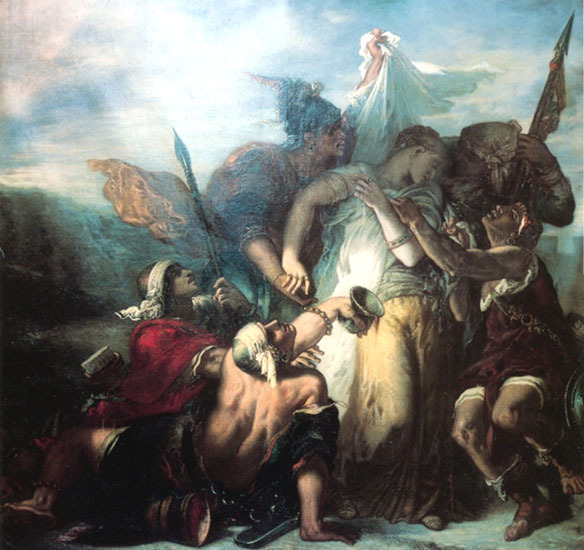 Moreau's art has often been described as decadent. He made a number of technical experiments, including scraping his canvases; and his nonfigurative paintings, done in a loose manner with thick impasto, have led him to be called a herald of Abstract Expressionism. Moreau succeeded Elie Delaunay as professor at the �cole des Beaux-Arts, and his teaching was highly popular. He was a very influential teacher of some of the artists of the Fauve movement, including Matisse and Rouault. 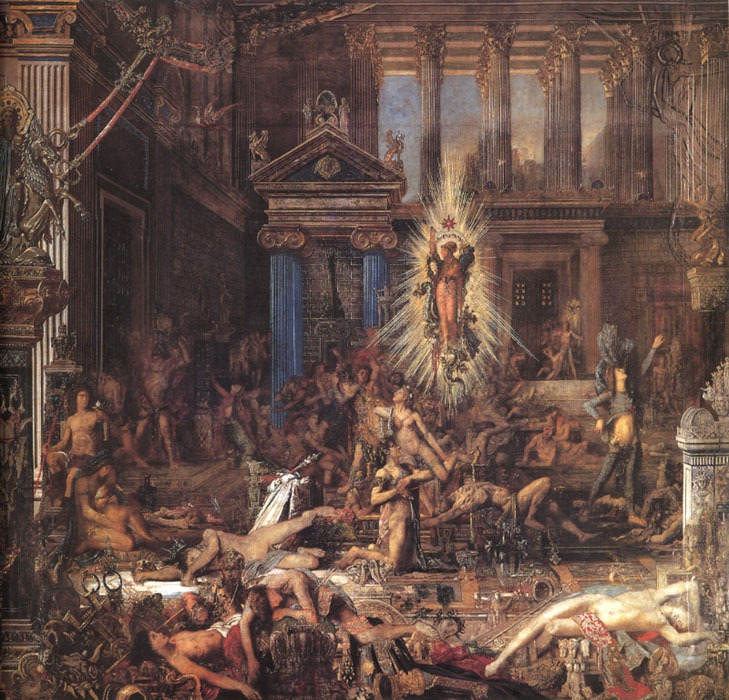 At his death, Moreau left to the state his house and about 8,000 works, which now form the Mus�e Gustave Moreau in Paris. (b Paris, 6 April ; d Paris, 18 April 1898). 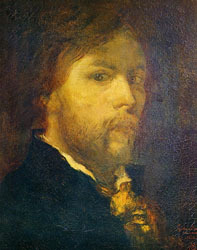 French painter and teacher. He was a strongly individual artist whose highly wrought interpretations of mythical and religious scenes were widely admired during his lifetime.